Dr Bike is making a trip to Medway Campus! Fancy getting your bike checked over for free by the CyclingAge guys? 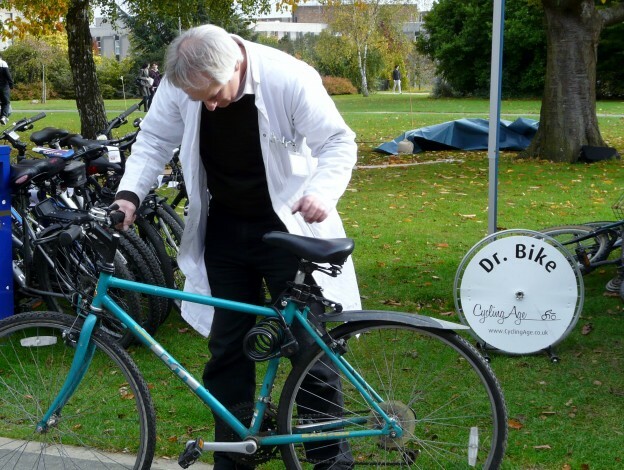 Dr Bike will be outside the back of Rochester Building on Wednesday 6 April 2016. Come along between 11:30 and 14:30 to get your bike checked over for free by trained bicycle mechanics. This entry was posted in News and tagged cycling, sustainability, transport on March 30, 2016 by Miriam Sandiford. Enrolment Management Services will be holding an Applicant Day on 30 March 2016 at the Canterbury campus. These are essential recruitment events for the University. 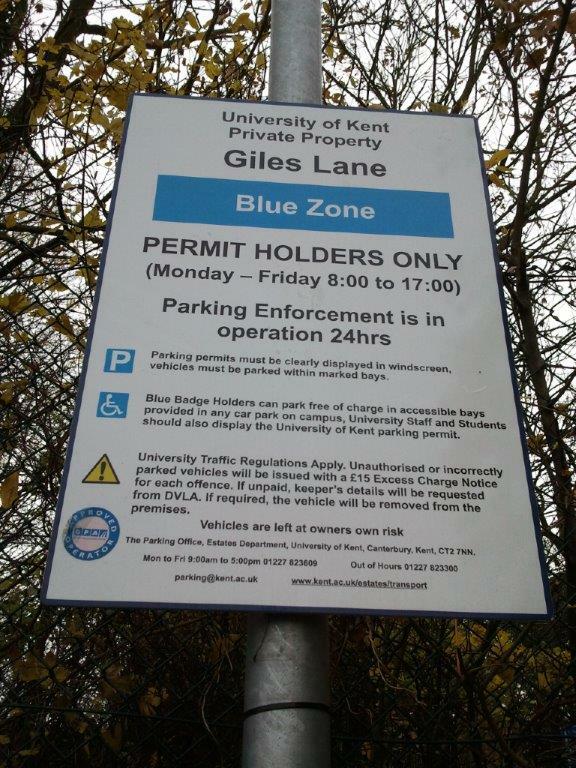 To assist with this event 140 parking bays will be closed in Giles Lane blue zone car park. All car parks in the centre of campus may be full before 09.00, which could mean you need to use the car parks within the Park Wood area. There are parking bays available next to the Park Wood accommodation as well. We recommend that you consider allowing for the additional time that may be required to travel to and from Park Wood. Pedestrian signs within Park Wood Courts, will inform you of the average time required to walk to the main campus. Alternatively, you can use the Park and Ride bus ticket that was sent with your parking permit to travel to and from the main campus. Please remember that parking enforcement will continue in accordance with the University Regulations for the Management of Traffic. This entry was posted in News and tagged parking on March 29, 2016 by Miriam Sandiford. Enrolment Management Services will be holding an Applicant Day on 23 March 2016 at the Canterbury campus. These are essential recruitment events for the University. To assist with this event 118 parking bays will be closed in Giles Lane blue zone car park. This entry was posted in News on March 22, 2016 by Miriam Sandiford. During the Easter vacation, the Uni 1 and Uni 2 buses will continue to run to the usual timetable despite being out of term-time! This is a trial so make sure to use the service and let us know your feedback. Don’t forget to include the day, time and bus number if you wish to provide specific feedback. 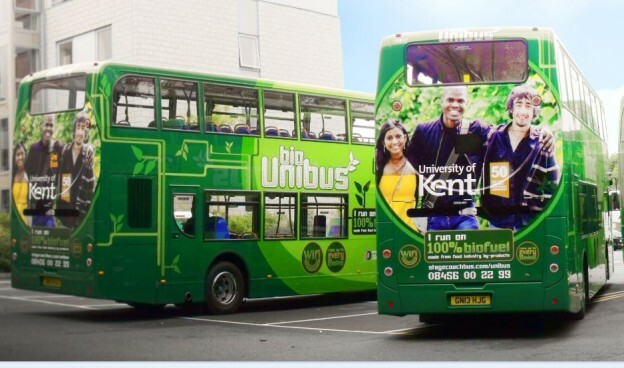 Between 27 March and 29 May 2016, there will be additional late night Uni 2 buses running on Sundays between Canterbury Bus Station and Hales Place. These extra buses are to aid students getting to and from the library during exams. See here for the full timetable. Studying late night at the library? Between 27 March and 29 May 2016, there will be additional late night Uni 2 buses running on Sundays between Canterbury Bus Station and Hales Place. See here for the full timetable. This entry was posted in News and tagged bus, stagecoach on March 15, 2016 by Miriam Sandiford. Enrolment Management Services will be holding an Applicant Day on 16 March 2016 at the Canterbury campus. These are essential recruitment events for the University. To assist with this event 178 parking bays will be closed in Giles Lane blue zone car park. All car parks in the centre of campus may be full before 9.00am, which could mean you need to use the car parks within the Park Wood area. There are parking bays available next to the Park Wood accommodation as well. We recommend that you consider allowing for the additional time that may be required to travel to and from Park Wood. This entry was posted in News on March 14, 2016 by Miriam Sandiford. Enrolment Management Services will be holding an Applicant Day on 9 March 2016 at the Canterbury campus. These are essential recruitment events for the University. To assist with this event 136 parking bays will be closed in Giles Lane blue zone car park. 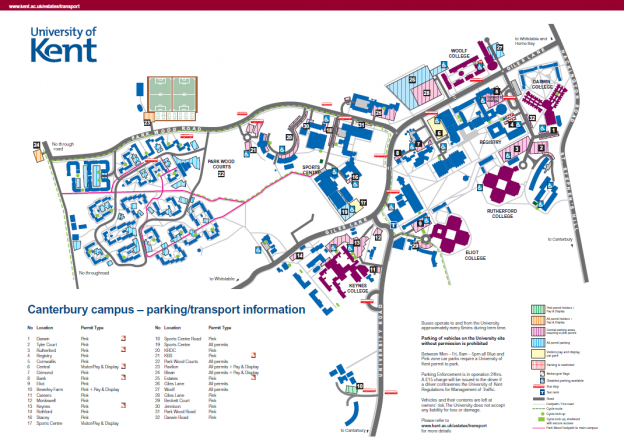 All car parks in the centre of campus could be full before 9.00am. You may need to use the car parks within the Park Wood area, such as the bays next to the accommodation. We recommend that you consider the additional time that may be required to travel to and from Park Wood. If you are parked within Park Wood you can use the Park and Ride bus ticket that was sent with your parking permit to travel to and from the main campus. Alternatively, the Park Wood pedestrian signs will inform you of the average time required to walk to the main campus. This entry was posted in News on March 8, 2016 by Miriam Sandiford.